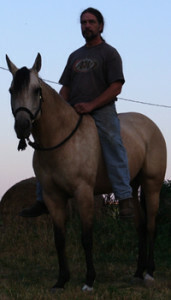 Lilly is a wonderful mare standing 15 HH. 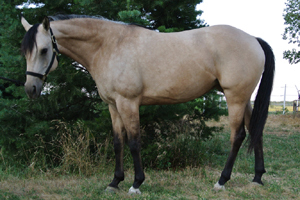 She has the best of both the Arabian and QH breed characteristics. She is sweet, willing, calm, and steady. She doesn’t have the hyperactivity of many Arabian horses yet she has the alert and loving personality commonly enjoyed with an Arabian as well as the lightness in her gaits. From the QH she has a calmer demeanor with no spook. She has done hunt seat and some jumping but has recently been in training for western riding, trail, and general all-around use. Mark and Summer have been riding her for the past two months and are listing her for her owner who is more interested in carriage driving than riding and would like to see Lilly find a home where she will be used and enjoyed. 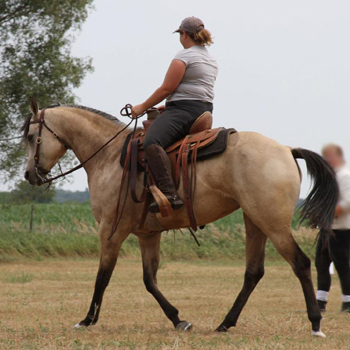 She would be well suited for an advanced beginner to intermediate confident rider, either youth or adult, and would be fun for an advanced rider looking for a well behaved, calm and responsive pleasure ride.SOLD in 2012! Good Luck Lilly!